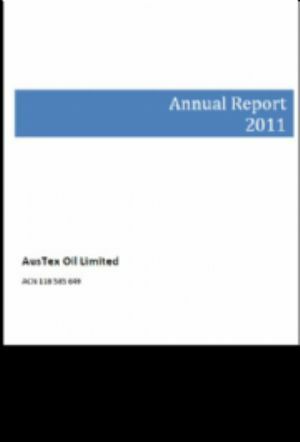 AusTex Oil Limited (ASX:AOK) (OTCQX:ATXDY) is a Public Company listed on the Australian Securities Exchange (ASX) and the OTCQX. 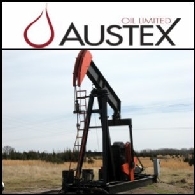 AusTex is focused on exploration and development of oil and gas leases in the USA. 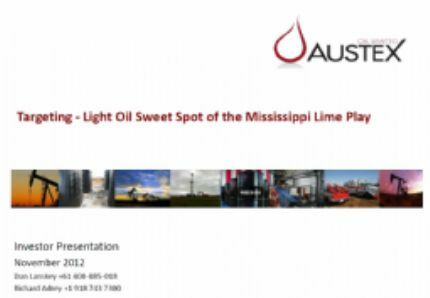 The company produces oil and gas in Oklahoma and Kansas and is currently developing producing leases in both states with interests in 11,600 net acres of oil and gas leases in the Mississippi Lime Play. 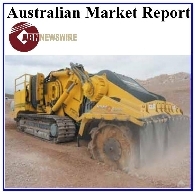 The Company has net production of circa 800 boe/day with Independent 1P reserves certified at 3.505 Million BOE with NPV10 of US34.8 million as at 31 December 2015. US operations are based in Tulsa, Oklahoma, with an office at 1801 East 71st Street. 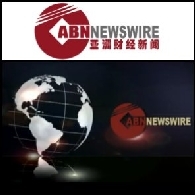 International Energy Corporation (Oklahoma) is a wholly owned subsidiary and a licensed oil and gas operator in Oklahoma and Kansas.